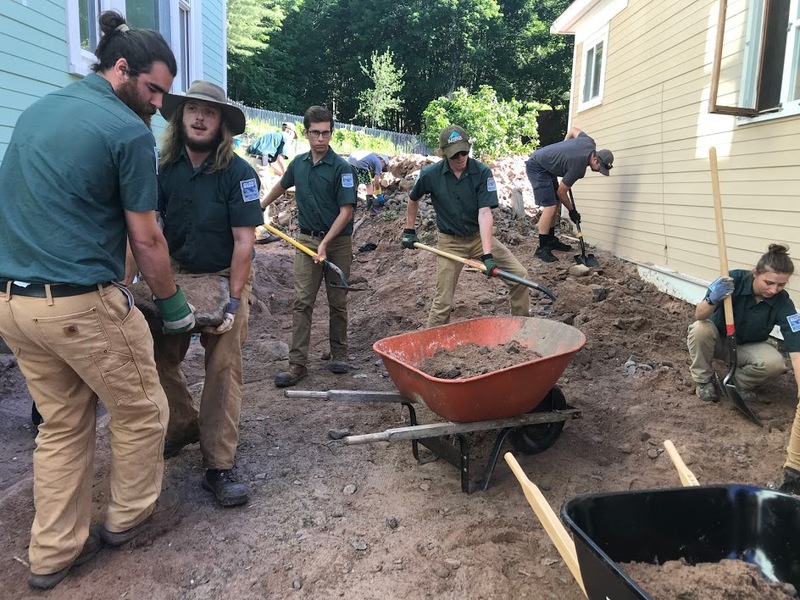 Houghton, Michigan: The Superior Watershed Partnership (SWP) deployed additional crews from the Great Lakes Conservation Corps (GLCC) to assist the flood-ravaged communities of the Keweenaw Peninsula this week. Currently a total of 16 GLCC crew members (4 crews) are assisting the communities of Houghton, Hancock and Ripley. The SWP deployed the first GLCC crews within 24-hours of the original storm event to help with disaster relief. 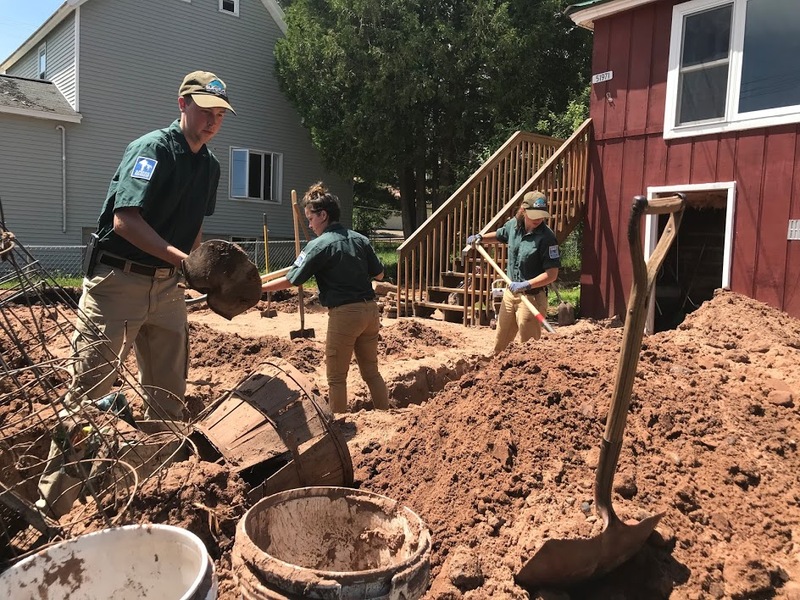 Jim Vivian, Executive Director of the Keweenaw Community Foundation appreciated the prompt response; “The young men and women of the Great Lakes Conservation Corps mobilized quickly to assist our community in recovery. Their enthusiasm and work ethic has been much needed!”. The Keweenaw Community Foundation also provided funding for GLCC crews to assist local communities with flood relief. 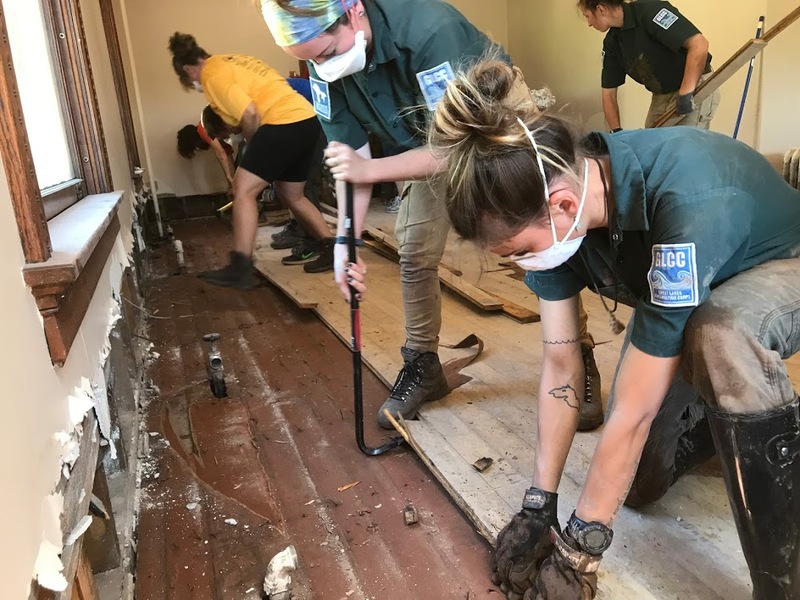 Leach also appreciated the local response; “Our crews are working side by side with homeowners, and we have received nothing but positive feedback.” GLCC crews are helping homeowners with debris removal, home clean-up and site stabilization. Crews are equipped with trucks, tools, first aid equipment and camping gear. Recent National coverage of recovery efforts can be seen on AccuWeather here. “This was a historic storm, estimated by some to be a 1000-year event. The problem is, these sorts of events are becoming more common with a changing climate.” according to John Lenters; Senior Scientist with Lentic Environmental Services and SWP consulting climatologist. ” First Duluth, then Ashland, now Houghton makes three historic flooding events in the Lake Superior region in just seven years. These are exactly the types of events that are expected to become more common, but we don’t need to wait for the future. They’re happening now.”said Lenters. The Ottawa National Forest and Partners for Watershed Restoration (PWR) provided the initial funding to get crews on-site within 24 hours and continues to sponsor GLCC crews in the Houghton area. The SWP and PWR are also committed to assisting with the long term watershed restoration of the region including comprehensive stream inventories to evaluate and prioritize future erosion control, habitat restoration and riparian buffer restoration projects. 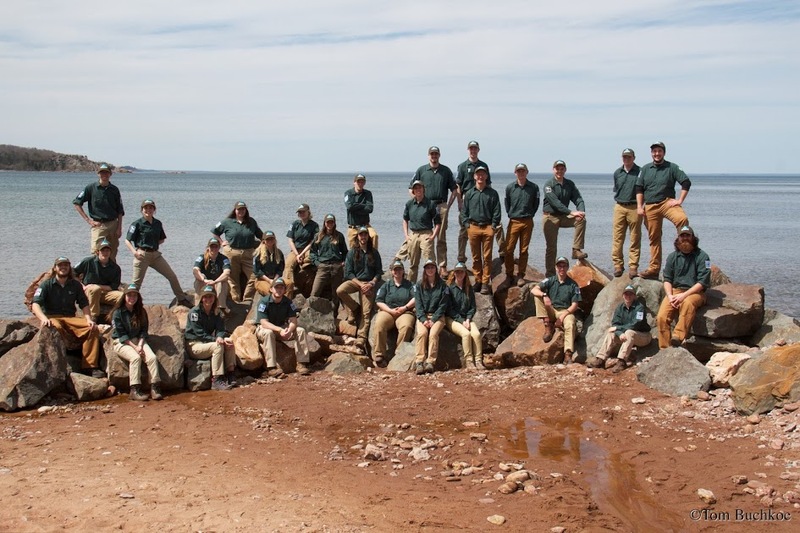 GLCC crews include the Climate Conservation Corps (CCC); a crew dedicated solely to climate adaptation projects. GLCC and CCC crews work across jurisdictional boundaries in all fifteen counties of Michigan’s Upper Peninsula to implement a wide range of conservation and community projects including, but not limited to, stream restoration, erosion control, habitat restoration, environmental monitoring, trail building, public access improvements and disaster relief. The SWP is a Great Lakes non-profit organization dedicated to the protection and restoration of the watersheds of Michigan’s Upper Peninsula including Lake Superior, Lake Michigan and Lake Huron. Contact information: Emily Leach at emily@superiorwatersheds.org or 906-228- 6095 ex. 15.